Beside Benoît Peeters the symposium around Paul Valéry was with great Japanese specialists and three other French guests: Michel Jarrety, William Marx, Jean-Louis Jeannelle. Peeters also attended a conference at the university. He talked about Rodolphe Töpffer with Naoko Morita, a specialist of Rodolphe Töpffer and professor at the university. Some images Benoît Peeters shared during his trip. 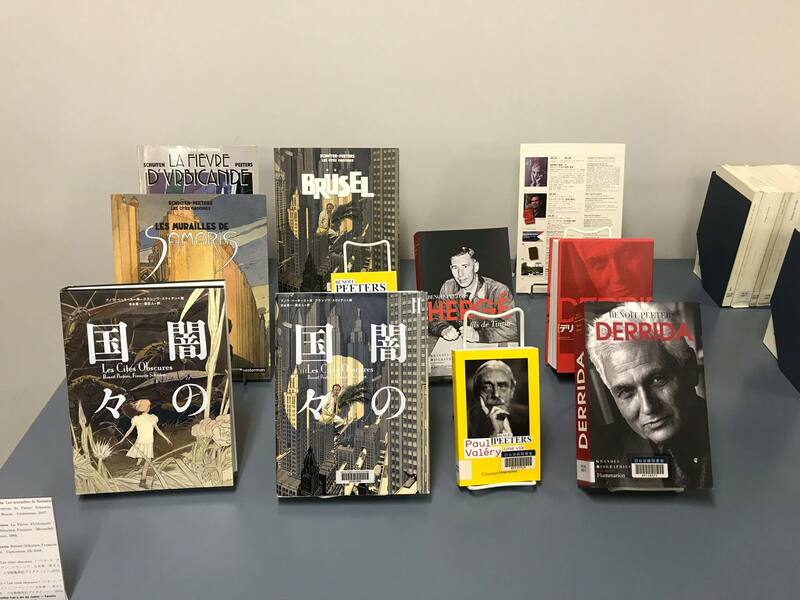 And finally Peeters had a meeting with Minetaro Mochizuki (author of “Chiisakobé”) at the French Institute of Tokyo on October 26, 2017. The dialogue was animated by Masato Hara.